This is the second essay in a two-part series, "He Said/She Said: The Two Sides of Retirement." Last post, "Retirement: Diving Into Danger" was my husband's side. Here's my version . . .
Honey, I'm Home . . . A Lot! And then, last summer, Howard retired. After 40 years as a physician, he was ready to enjoy life beyond medicine. Of course I knew this was coming. We had planned his retirement for years. But really? So soon? Now? The first few weeks we hiked, went to movies and museums, and ate lunches together. But, after a few more weeks, the novelty wore off. "Don't you want to have lunch with someone else?" I asked. When he decided to restain our kitchen cabinets—a three-month project—my desk was surrounded by stacks of drawers filled with silverware, utensils, and pots and pans. Not to mention the dust. Once a haven of tranquility, my work area had been invaded. I felt exposed, vulnerable and unmoored. While he tried hard to be considerate and did most of the staining in the garage, he didn't leave the house to go to work. He was always home. 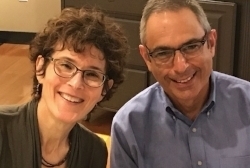 I hated explaining my comings and goings, and felt guilty slipping away "to my office," 20 feet from the kitchen table where Howard read the paper, drank his coffee, and frequently commented on an article or a funny piece online. "Hey, here's an interesting Poutine recipe with crabmeat," he called over. In September, when the kitchen was almost finished, we'd taken a trip to Quebec where Howard fell in love with Poutine, the Canadian national dish made of French fries, cheese curds and gravy. Returning home, he was obsessed as he scoured the internet for Poutine recipes—within the confines of my personal space. When he watched The New York Times cooking videos at full volume, that nearly did me in and I turned around and snapped at him. "Can't you watch somewhere else?!" I fantasized about buying "His" and "Hers" yurts for our backyard. Was there something wrong with me that I was annoyed at having my husband around all of the time? Guilt plagued me. I felt constricted, like a vice was tightening around my head. I could have carried my laptop into one of our kids' rooms. But no, I wanted to reclaim my once-calm space without feeling like I was being banished. Taking over our son's or daughter's room would also be an admission that they've moved out, are living their own young adult lives and my hands-on mothering days are over. Don't get me started on that. Like the birth of the first child, retirement is a cataclysmic event, one you can prepare for financially, but not emotionally. Yes, it's the loss of a paycheck, routine, and purpose. But, it's more than that. Retiring from work puts us in a different place—a liminal space between what was and what is—between having defined, separate roles and spaces, to melding more time together. I've had years to cultivate friendships outside of my work, time to establish connections in the community, a life outside of the family. Howard hasn't. Since college, he'd spent years focused on patient care. Now he was floating free. To be fair, Howard has always had an insatiable curiosity beyond medicine. He seeks new challenges and hates to sit still. I love this about him. When he starts a new project, whether it's making pizza from scratch, baking batches of bread, or teaching skiing, he's all in, spending months or years trying to master his new passion. Think: Poutine. His inquisitiveness leads him down the rabbit hole of discovery, and at times, I've been envious of his persistence and enthusiasm. But after he finished restaining the kitchen cabinets, he was curiously not curious. He was tired. He wanted to enjoy his newfound free time without commitments and wasn't interested in any new projects—aside from Poutine. He wanted to rest and hang out. "Don't you want to have lunch with someone else?" I asked again, feeling the burden of being his only friend. "I'm perfectly content," he said. And he was. Desperately needing some alone time at home, I suggested he walk home from the car mechanic after dropping off our car for service. It would be a nice (albeit mostly all uphill) six-mile walk. He did, and I had a few hours to myself—my low-point of scheming. Okay, here's the good stuff: we check-in with each other during the day, slip outside for spur of the moment walks, and studied Conversational French together. He's also taken classes, joined a book group, volunteers to go to Costco and cooks delicious dinners (amazing take on Poutine with butternut squash and scallops, BTW). He has the mental bandwidth to think about traveling. And the most important part? He's really, really happy. I'm aware of how fortunate we are to have time together and I'm trying to find ways to live with the changes without melting down or lashing out. We're muddling through this, fine tuning as we go along. These days, when Howard sits at the kitchen table, he gauges my need for space, leaves me alone to work and pops in earbuds to watch TED talks. Sometimes, I join him with my laptop. Now that it's winter, he's been on the slopes, fully engaged in skiing, teaching and having lunch with his ski buddies. I have my old life back again. But what's going to happen when ski season is over? When he hangs up his skis in April, I'm hopeful that whatever we've learned along the way will make for a better summer. I'll remind myself that it takes time to create a new life. So before I hand him a "to-do" list (AKA "I-need-my-personal-space" list), I'll breathe, make sure I'm clear when I want quiet, and prepare to eat a lot more Poutine. We'll see how it goes . . . Kitchen project is done (looks great) and ski season is in full swing . 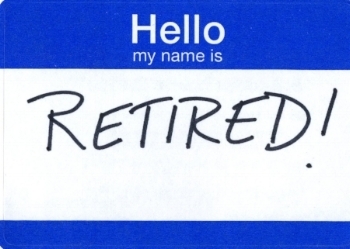 . .
To read my husband's side, "Retirement: Diving Into Danger," click here. 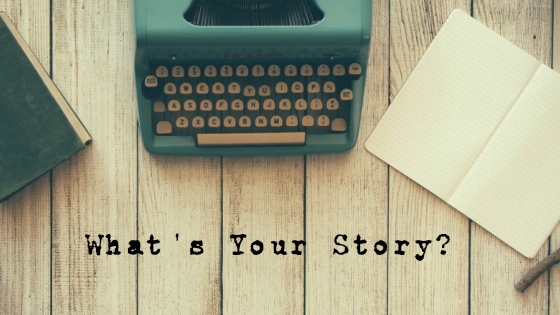 Do you have a story you'd like to share? If so, I'd love to read it. Send it my way!